You are currently browsing articles tagged victory bouquet. Olympic fever hits us again this week. The opening ceremony for the Paralympics takes place this evening and the games start tomorrow. Over the past month I’ve wrote a number of blogs about the flowers and plants, today I’m re-capping the most popular Olympic blog posts. My article about the Olympic victory bouquet was the most viewed Olympic blog. Everyone has been talking about the bouquets, debating the size and style. The flowers were presented to the all the medal winners, nearly 5000 bouquets were made. Jane Packer designed the bouquets using British roses and herbs. 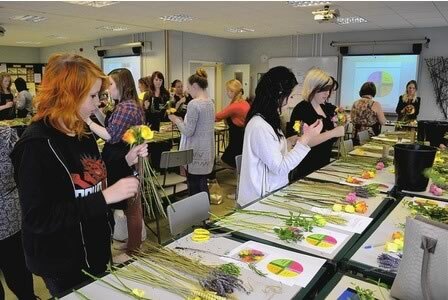 Floristry students helped to make the bouquets with Jane Packer staff. There is more information on the rose varieties and herbs used in the full article here. The Olympic organisers wanted the flowers for the games to be as sustainable as possible. I wrote an article about the almost impossible task of using only British grown flowers, including 20,000 roses for the bouquets. They had to be grown using no artificial heat, light or chemicals. The rose bushes used for the flowers now need re-homing, details can be found in my article. 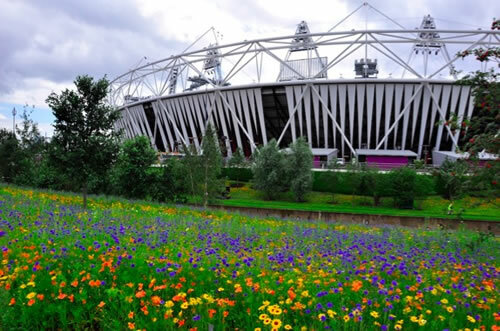 Beautiful flower meadows were sown around the Olympic Stadium. The ‘Olympic Gold Meadows’ are the largest annual meadows ever to be grown in a public park. They have been in flower throughout the Olympics and will continue to blooms throughout the Paralympics and into the autumn. There’s more information about the types of flowers useds and the planting process in the article. In the past week I’ve wrote a couple of articles on the Victory Bouquets given to medal winners at the Olympics and how they were grown sustainably. Today I’m going to tell you more about the lavender that featured in the bouquets. It was supplied by Long Barn, a Hampshire based farm. 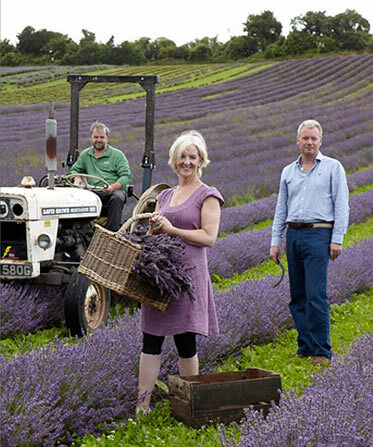 Long Barn have been growing and distilling lavender for over 12 years. As well as growing lavender they also produce a range of lavender based bath and beauty products, and original gifts for the home and garden. Langard sourced the components for the bouquets, they contacted Long Barn and asked them to supply lavender for the Olympic Victory Bouquets. They needed 5000 bunches of lavender each containing 60 stems, one bunch of lavender was used per bouquet. All the flowers for the Olympic bouquets were required to be grown chemical free, which was no problem for Long Barn as they already grow all their lavender without the use of pesticides and herbicides. 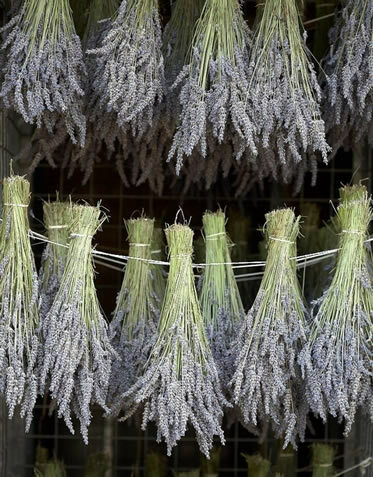 They live by a green philosophy producing their lavender naturally, their bath and beauty products are also made with entirely natural ingredients. Lavender is particularly significant in the bouquets, as it has a historic link with London, it was grown commercially in Victorian times around the capital. 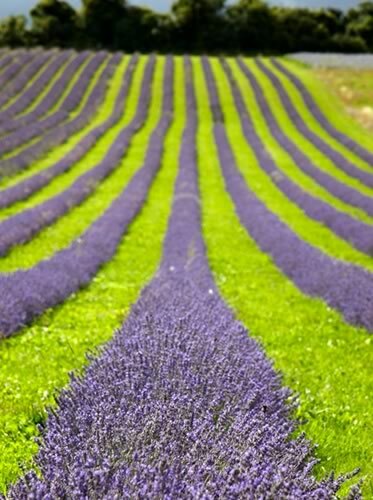 Lavender was an essential part of the ‘British scent’ the designers wanted to achieve, mint, rosemary and wheat were also used. Long Barn also has a plant nursery and newly opened café. You can find out more about them on their website. 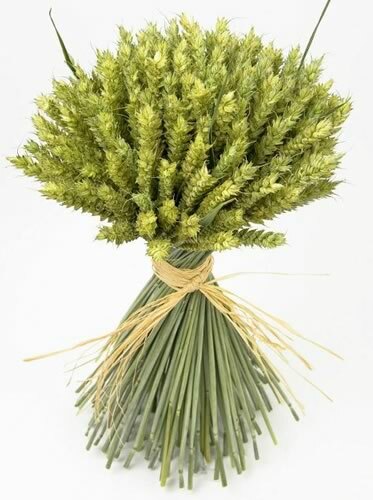 The Olympic organisers required the Victory bouquet flowers to be grown as sustainably as possible to reduce environmental impact. Their brief asked that the flowers and foliage used in the bouquets were all British grown, which is easier said than done. Sadly the British cut rose industry has virtually disappeared over the years, so roses had to been specially grown for the Olympics. 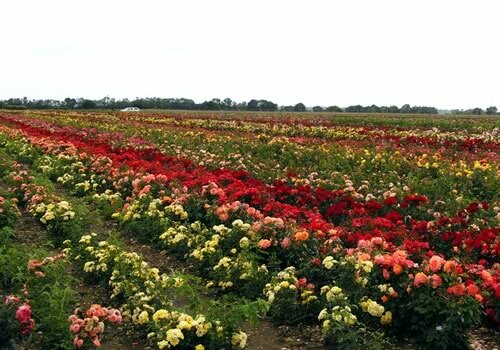 The challenge was grow 20,000 best quality roses, in specific colours for a tight time scale. As well as adhering to all the rules regarding sustainability. The flowers had to be grown without artificial heat, pesticide and fertilizer use were kept to a bare minimum, the flowers were to be transported from growers without energy consuming chilled units and made into bouquets locally. This is no mean feat with the haphazard British summer we’ve been having. Paul Chessum Roses grew the roses at their high tech nursery in Chichester. 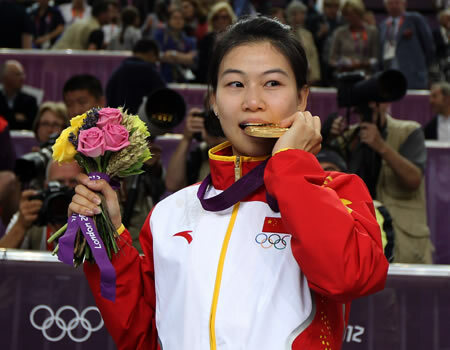 The target for the bouquets was 3 days ‘from plant to athlete’. Other suppliers included Langard UK who provided mint, rosemary and roses, Shropshire Petals provided the wheat, and Longbarn grew the lavender. The flowers were made into the bouquets by florists from Jane Packer and floristry students. To complete the sustainability loop, the rose bushes need a home after completing their Olympic job. If you’d like to own a piece of living sport history, the rose plants are available to buy and will be delivered from September onwards via yougarden.com. 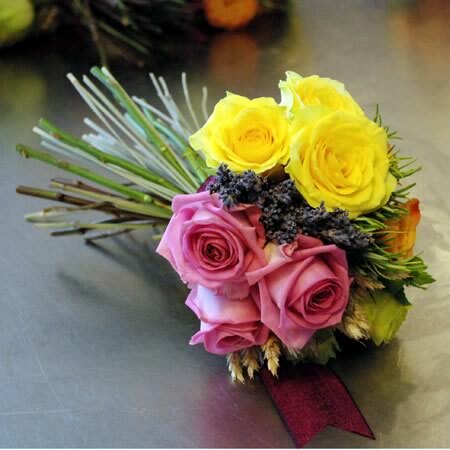 I wrote about the bouquet design and the students who made the bouquets yesterday. The Olympics are in full swing now, if you’ve been watching the TV coverage you’ve probably spotted the Victory Bouquets. They were designed by Susan Lapworth, creative director at Jane Packer. The design reflects the vibrancy and energy of the Olympic Games. As Roses are quintessentially British they were chosen for the main flower, all the materials used in the bouquets are British grown. The design is split into quadrants of roses, separated by a British food ingredient. 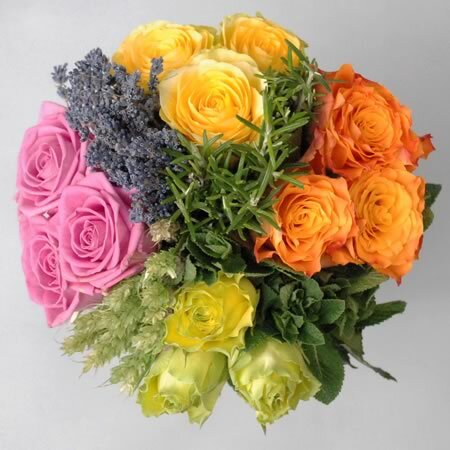 The bouquet contains Illios roses (yellow), Marie Claire roses (orange), Wimbledon roses (green) and Aqua roses (pink). The herbs will provide a wonderful fragrance; they include rosemary, apple mint, and English lavender. British grown wheat also features in the design. Honoured and excited students from several colleges have been helping to make the required 4,800 bouquets for medal winners. Students from Writtle College, Bexley Adult Education and Kingston Maurward have participated in creating the designs. 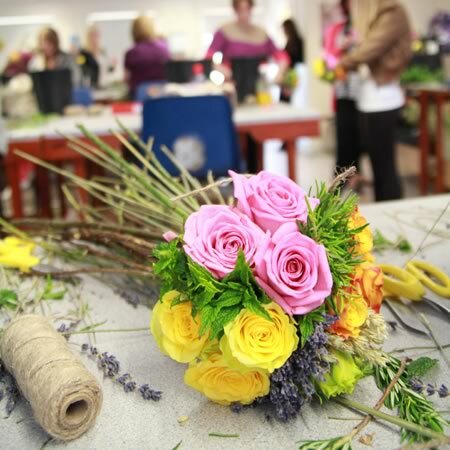 The photo above shows students working with a make-up guide to help them create the bouquets to the exact specifications. The bouquets were made to a strict brief, they had to be 20 x 25cm, reflect the energy of London 2012, withstand temperature changes and handling by non-experts.